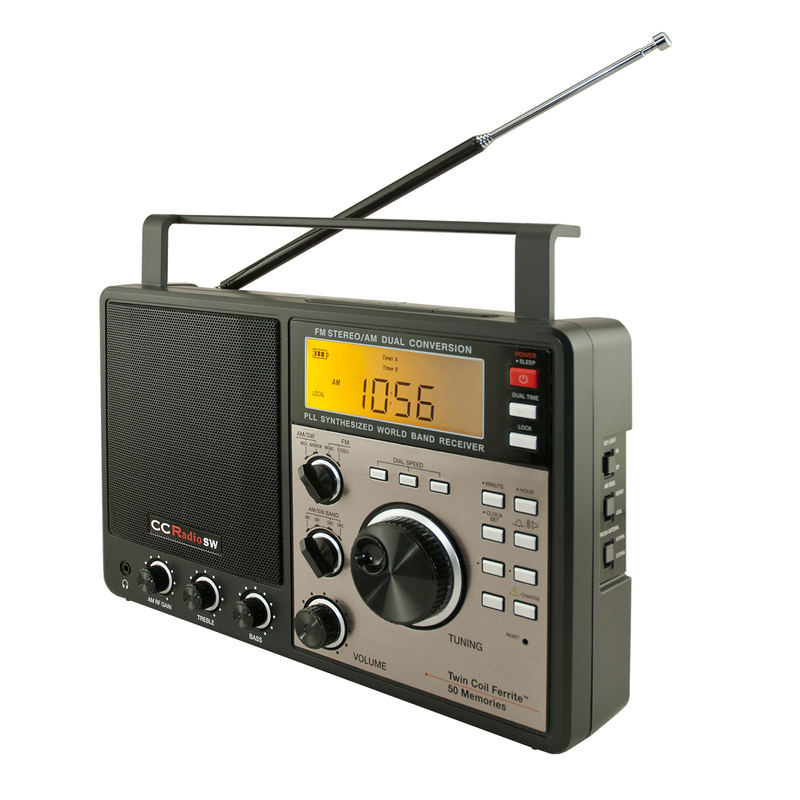 Today’s giveaway is the CC Radio-SW.
Today’s blog question: What is your favorite holiday color? The winners will be selected in a random drawing and will be announced Monday morning. Good Luck! It has to be candy apple red with silver flakes.. Since I only think of red and green as holiday colors, I would have to say my favorite is red. Merry Christmas to all of you at CCRANE and thank you for your very kind giveaways this month. neat question…..I like burgundy. It gives me the feeling of tradition, the 1800’s, and a feeling of old time warmth! Blue, of course, always blue! It has to be red! Red and green- I’m an elf at heart… Lol! I love the white of a fresh fallen snow, and the green of the Christmas tree. White… Snowy white. Nothing like snowy holiday season! Green. Color of holly leaves. White and red, in that order. Green is my favorite holiday colour. Red, green, yellow, orange and gold!!!! It would have to be Silver and Gold decorations, on every Christmas tree. Black, actually. Enjoying my faithful CCRadio-SWP while writing this, from the highlands of NW Colombia. I will have to say green.